Will Lombardi has lived in Quincy since 1987. 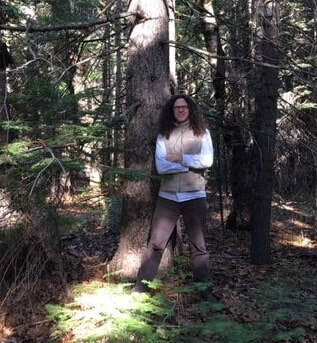 He worked in the woods fighting fire on the Plumas Hotshots, he worked on construction sites around the county, and now he teaches writing, literature, and humanities courses at Feather River College. The best days of Will’s life have been spent in the Feather River region with his partner Jenny Bennett, their son Hawk Lombardi, and the amazing friends he has met here along the way, in the woods and along the streams and rivers. ​Will will host writing workshops at locations throughout the county during February, March, and April, based on regional interest. The workshops are designed to produce short profiles and/or reflections of life in the Feather River watershed. Participants will compose 300-500 word personal essays about a place, person, or event that epitomizes Plumas County to them. Subjects can range from the ordinary to the spectacular—raking leaves, taking a hike, life in the woods or on the farm, or a perfect snow day; big fish, first loves, and heartfelt losses. Those attending workshops can expect a lively, informative, supportive environment for getting their ideas on paper. “Now + Here” is a record of place documenting our past and present. Whether we write down our meaningful experiences or not, story-telling at heart concerns itself with remembering and preserving. Our stories make us visible and legible to one another. Stories protect our most cherished memories. Story-telling is a form of empowerment: to tell our stories ourselves is to have authority over our own narratives; in stories, we create ourselves and control who we might be. But story-telling makes us vulnerable too: it exposes our dreams and desires; in stories, we reveal what we need, what we hope for, and what we expect from each other. Memory, empowerment, and vulnerability, then, are the conditions of a tale well told. Place-based stories emphasize the ways in which our identities are formed by our surroundings. They explore our relationships to the culture and nature of our communities, and they define those webs or networks of interdependence that bind us to a given locale. Of course, where we live can either be limiting or liberating or both. In this regard, our place-based stories position us as witnesses to what life is really like, here and now. They allow us to create individually and collectively. If we want them to, our stories can be both agents of change in our communities and a stabilizing force. Each personal reflection adds to the confluence of narratives contributing to the spirit and sense of a certain time and place in the world. The People of Plumas Writing Project is a collaborative, grassroots effort that makes space for all interested community members to share their reflections on what it means to be in Plumas County and the Feather River Watershed. Now + Here is an opportunity to bear witness to, and tell our own truth about, where we dwell. Taken together, each narrative will intertwine in such a way that they tell our story, in its richness, diversity, and uniqueness. If you want to participate, sign up for a place-based writing workshop in February, March, or April in your Plumas County community with the writing project coordinator, Will Lombardi. You can contact Will through Plumas Arts at this email address: kara@plumasarts.org. Workshop dates and locations will be determined by the number of interested parties and according to regional interest. Will’s goal is to encourage anyone with a Plumas County story to share it with everyone. You will be guided through strategies for getting your narrative on paper. Final narratives can be accompanied by 3-5 photos and will be 300-500 words in length, or approximately 1-2 pages, though longer submissions will be gladly accepted. Longer submissions may be edited as space requires. Topics should focus on a place, person, or event that symbolizes Plumas County life to you. Think of this as a snapshot or a profile. They can be stories of ordinary, everyday life; they can be big fish stories or first buck stories; they can be best dog stories; they can be stories of first love or heartbreak. They can be extraordinary stories about people or places you will never forget. The workshops will be 2 hours long, with ample time for breaks and conversation. The basic format will be a brainstorming session, discussion, and time to get words on the page, followed by preliminary peer editing if you desire. If you can’t attend a workshop, you can still send your Plumas narrative to Plumas Arts, kara@plumasarts.org, for inclusion in the writing project. All essays will be subject to committee review for content and editing. Whatever you decide to write about, there is space for your story here!